Monterrey—Mexico’s third largest city and capital city of the state of Nuevo Leon—is set in the spectacular Sierra Madre mountain region of north-west Mexico. Three million residents populate Monterrey’s metropolitan area and when you visit here, you realize that Monterrey is more like the United States and less like Mexico. Monterrey is Mexico’s modern-day commercial and industrial powerhouse. Many of Mexico’s most important companies are headquartered here; it is also a huge area for maquliadoras—factories where goods are assembled, often using foreign components, to be exported once again for sale in the USA, Europe and Asia. The city’s main square, Plaza Makro, is one of the largest in the world; but it was created in the 1980’s with efficiency in mind; people here don’t stroll around admiring the architecture—they are probably late for their next business appointment. Although most tourists by-pass Monterrey, in doing so they miss the opportunity to experience a perfect example of a city that combines the new and the old Mexico, as well as missing the enjoyment of many of the attractions waiting for them nearby. There are several museums in Monterrey, including the famous Museum of Contemporary Art. 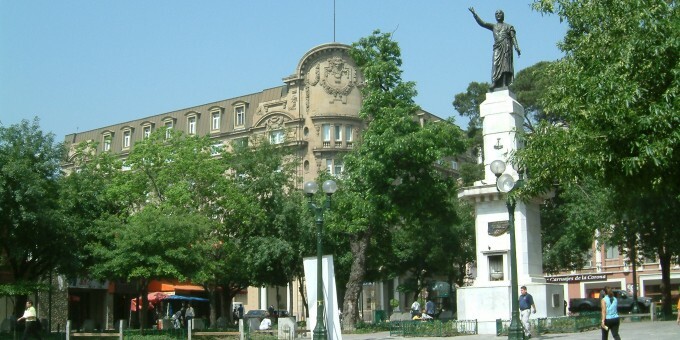 Monterrey is also home to the country’s top University – Instituto Tecnologico de Monterrey, which now has several campuses throughout the country, including a huge complex in Mexico City. The cathedral and buildings centered around the main plaza are an excellent example of modern colonial architecture blending in with the old world. Within an hour of Monterrey, you’ll find some stunning ecological attractions too, including caves, waterfalls and, of course, the majestic and famous Sierra Madre mountain range which flanks this important Mexican city. The climate is ideal for taking part in a variety of outdoor sports and activities. Don’t write-off Monterrey as a commercialized piece of the USA in Mexico: to do so would be denying yourself the chance to experience a great city; one which is vibrant and confident, and which is at the cutting edge of Mexico’s drive to develop and grow into a more prosperous nation. Sometimes referred to as the Makro Plaza, when you come here, you’ll see why. Life in the plaza is packed full with energy and its size makes it one of the largest plazas in the world. It would overwhelm you were it not for the buildings, walkways and fountains that have been built-in to this focus-piece of the city’s central area. The Plaza is host to many of the city’s most important buildings: the cathedral, the Palacio de Gobierno (Government Palace); the Museo de Arte Contemporaneo, the Palacio Municipal (Municipal Building), the Main Post Office, and the Palacio de la Justicia (Court House) to name a few! Barrio Antiguo means “Old Neighborhood”, and east of the Grand Plaza, you’ll find this area of town, where you can wander around and look at the old world of Monterrey. This zone is trendy and fashionable with the locals with its chic cafes, art galleries and antique shops. It’s also becoming a major night spot in Monterrey, especially at the weekends. Modeled on Mexico City’s Zona Rosa (meaning “Pink Zone”), this is the area where you’ll find some of the top restaurants and hotels, expensive shops and boutiques. It’s great for window shopping and to find a good place to eat and drink, but there are other places too, see below. Monterrey’s commercial scene has developed significantly in recent years. Where before, the Zona Rosa (see above) was the premier location for shops, hotels and restaurants, today there are various commercial centers and malls located in this modern city that offer new varieties and extended choice to visitors and residents alike. The area surrounding Monterrey has a lot to offer visitors wanting to see some of Mexico’s stunning northern deserts and mountains. Attractions include the Garcia Caves, Horse Tail Waterfalls, Rodrigo Gomez Dam and gorgeous views from Chipinque on the Sierra Madre Mountains. Museo del Vidrio – (Glass Museum) Features the history, manufacture and use of glass in Mexico. The museum includes an art glassware gallery and a shop selling fine glass. Museo del Obispado – (Former Bishop’s Palace) Situated on a hill and offers fine views of the city on clear days (the pollution here can be bad at times). Today it’s a small historical museum, principally about Mexico’s revolutionary period. Museo de Arte Contemporaneo – (Contemporary Art Museum) hosts major exhibitions, including those of top Mexican and International artists. It’s said to be one of the best museums in the country. As one can imagine, the business culture makes golf a popular recreational activity in this city, and the climate is also ideal! Monterrey offers an opportunity to enjoy great golf in Mexico. By Air – You can fly to Monterrey from key US cities and all other main cities in Mexico offer direct flights to and from Monterrey. The airport is about 10 miles north of the city; shuttles and taxis are available to take you into the center of Monterrey. For detailed information about flights and flying, see the Mexperience guide to Air Travel in Mexico. By Bus – You can travel to Monterrey on a luxury bus from Mexico City – the trip takes around 12 hours. An overnight bus does run from Mexico City to Monterrey, arriving in time to enjoy the day there, although traveling by bus, even on a luxury bus, for 12 hours can be quite tiring. For detailed information about bus transportation read the Mexperience guide to Bus Travel in Mexico. By Car – Monterrey is well connected by federal (free) and tolled roads, connecting it to the colonial heartland and Mexico City in the south, and the USA in the north. See additional information about Driving in Mexico and Mexico’s Toll Roads on Mexperience. Car Rental – To explore Mexico independently, consider renting a car for your visit. Having your own car will give you more flexibility than using public transport options and, in some cases, offer you access to places which are otherwise difficult to visit without the use of a car. Read our guide to Car Rental in Mexico to learn what you need to know about car rental in Mexico and connect to the Mexperience Travel Center to reserve your Rental Car. Taxis – Monterrey’s taxis are metered. Taxi travel is very affordable in Mexico, in comparison to the USA, Canada and Europe, and so provides a viable means of public transportation in Mexico. Your hotel can arrange taxis for you; some post their rates on a board in the lobby; taxi hotel rates are usually higher than cabs you hail off the street. If you speak Spanish, you will have a distinct advantage in your negotiations with local taxi drivers. For detailed information, read the Mexperience guide to Taxi Travel in Mexico. Metro – A very simple two-line metro system can take you to various places around the city. The over-ground tram (line 1) runs west-east and is designed to transport people from residential areas in the south to the city center; the underground train (line 2) runs north-south and is good for all major attractions in and around the city’s center. Expo Monterrey – An annual trade and cultural fair in Monterrey, which takes place in September. Festival Cultural del Barrio Antiguo – (Cultural Festival of the Old Neighborhood) features concerts, performances and conferences which all take place in the clubs and establishments inside Monterrey’s ‘old town’ (Barrio Antiguo). Late November. Telephone: Connect to the guide about Communications in Mexico on Mexperience for detailed information about keeping in touch and the latest table of national dialing codes. Exchanging Currency: Banks with ATM machines are found throughout the downtown area of Monterrey. During business hours, they and the local Casas de Cambio will buy traveler’s checks and cash from you as well. For detailed information about exchanging and managing your money, read the Mexperience guide to Money in Mexico. Internet Access: Internet cafes can be easily found in towns and cities across Mexico and WiFi is increasingly commonplace–from cafes, shops, hotels, and some cities even offer free WiFi in some defined public spaces. Monterrey has a fabulous food scene, with plenty of options for non-Mexican cuisine. You’ll find Asian, Italian, American (including American-style fast-food) among the selection. But the town also has it’s regional specialities that you should try—Cabrito is baby goat slow cooked over a mesquite grill. La Fonda San Francisco. For something unique, try this experimental little restaurant which takes its inspiration from pre-hispanic recipes. 1 km west of San Pedro, Los Aldama 123 Sur, Centro. Tel: (81) 8336 6706. El Siciliano. Authentic Italian trattoria, serving delicious pasta and seafood dishes. Morelos Ote 1076. Barrio Antiguo. Tel: (81) 8675 5784. El Rey de Cabrito. This popular place serves the regional speciality of Cabrito. A lodge-like interior makes it kitsch but cozy. Corner of Dr. Cross & Av. Constitucion, Barrio Antiguo. Mi Tierra. Mexican favorites, including mole. Morelos 350 Ote. Zona Rosa. (81) 8340 5611. Monterrey has a selection of good night spots to suit those looking for culture and those looking for a party. Locally Hosted Parties – Check with yours and other local hotels about public parties they may be hosting during your stay. 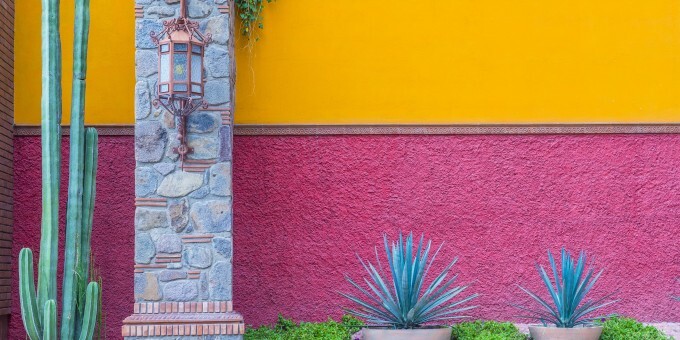 Traditional Mexican theme night parties are popular with the locals, and there’s a chance you could join a really special night out – the real Mexican way, and certainly on the eve of September 16th – Mexico’s Independence Day! Hosted parties usually include dinner, dancing, a show and / or live music (usually authentic Mexican Mariachis) plus all drinks for a fixed fee and are always excellent value for money! Ask at your hotel to find out what is happening locally. Night Bars / Restaurants – There’s a good variety of late night entertainment in Monterrey to keep you entertained into the early hours. The choice of shopping in Monterrey is either large market-style complexes, or US-Style, ultra-modern, colossal air-conditioned shopping malls. Monterrey is in Mexico’s northern desert region. At an altitude of some 3,000 feet, it experiences very hot weather in the summer, although in the winter, the evenings and nights can get quite cold. The climate is generally dry, although the region is subject to abrupt changes in climate and thunderstorms in the summer months. The rainy season in Monterrey runs from June to September. When the rains do come they tend to manifest as magnificent and fierce drenching thunder-storms lasting just a couple of hours.